With such immense ethnic diversity, the Malaysian capital is abound with culinary gems aplenty on every street corner. Ask anyone from KL and its surrounding suburbs what their favourite eats are, and you will find the list often varies depending on that particular person’s home ground, tastebuds, ethnicity and social fabric. However, if you start to comb through and cross-reference people’s lists, you will start to find a group of eateries in and around the capital that come up repeatedly and stand-out amongst the crowd. Here’s a round up of the most memorable budget eats which the Klang Valley had to offer this trip back. A big thank you to the friends and family members who’ve taken me on this whirlwind tour round town over the past couple of weeks on the food crawl to top all food crawls! 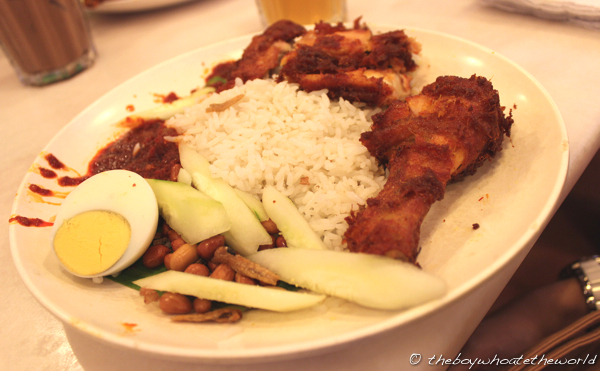 What better place to start than Malaysia’s national dish – the Nasi Lemak. And if the insane lunchtime takeout queues and pictures of celebrities (including Prime Ministers past & present) plastered all over Village Park’s walls are anything to go by, to say they have quite the staunch following of Nasi Lemak followers would be a complete understatement. Ironically, Village Park’s coconut rice itself isn’t anything extraordinary… it’s mildly fragrant, but a little meek in my view. What saves it though is the benchmark quality sambal chilli paste that walks the tightrope of spicy and sweet in perfect balance. However, the pièce de résistance here which truly elevates the overall dish into the upper echelons of the Klang Valley’s finest is their glorious, golden-brown fried chicken. Crunchy, delectably spiced, and wonderfully juicy, it’s crazy good and easily some of the best fried chicken you will find anywhere in the country. Try not to let the brusque and frankly plain rude service (which often involves plates literally getting tossed like frisbees onto your table) bother you. Village Park remains a firm favourite amongst locals and a compulsory pit-stop on any Klang Valley street food circuit. 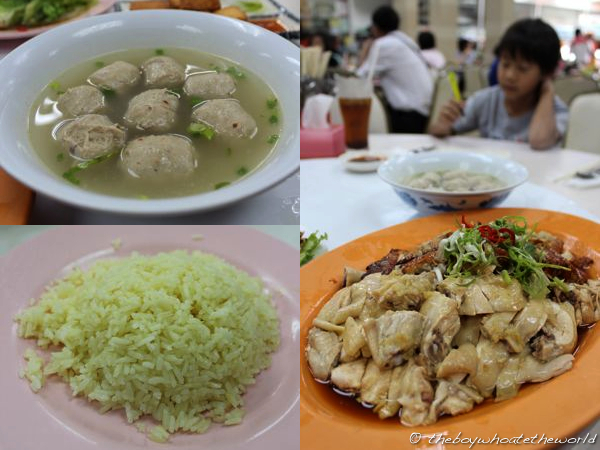 For those wanting a taste of Ipoh without having to undertake the 2 hour drive north of KL, New Restaurant Ipoh Chicken Rice on Jalan Gasing has been serving up the Perak capital’s star dish of Chicken Rice with Ngar Choi Kai (Steamed Chicken with Beansprouts) to once-deprived PJ residents since 1977. The building seems to have undergone a more modern refurb since my last visit years ago, but I’m happy to report that the Chicken Rice is still pretty sensational. The Steamed Chicken here, though delicious in its own right, would probably lose out narrowly in a melee against the plumper, original Ipoh variety. However, Jalan Gasing’s secret weapon is in it’s condiments. First, there’s the fabulous Pork Ball soup… the balls made in part out of Squid (‘Sotong’) which add to the the tenderness in the texture and give the meatballs a sweetness like no other. Then, there’s their bright yellow chicken rice which is bloody.amaze.balls. Cooked in what must be the sweetest chicken broth concentrate the world has ever known, it’s so good you can seriously eat the whole plateful of rice on its own! A gastronomic delight from my childhood days that is still as satisfying so many years down the road. For those interested in making the journey to Ipoh for the real deal (which I would highly recommend), you can read more about my culinary adventures round Ipoh’s Old Town here. 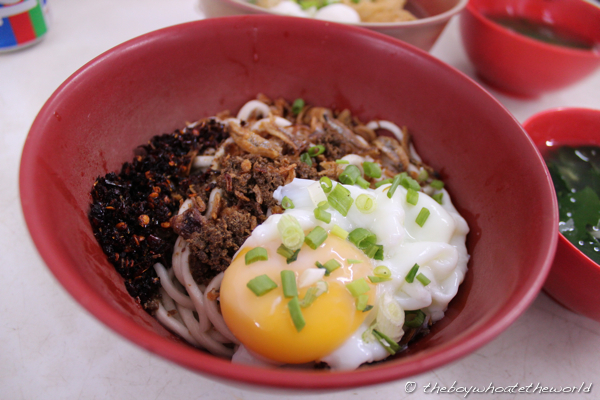 It seems the Chilli Pan Mee movement which seized KL 2 to 3 years ago is still going strong. Several franchises from Super Kitchen to Jo Jo’s have continued to sprout up in every corner of the Klang Valley. 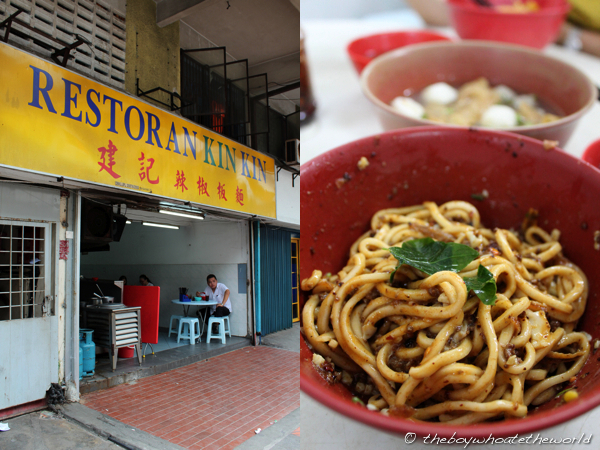 However, talk to any Chilli Pan Mee purist, and they will tell you that the only place to get your fiery dose of this KL-originated street food craze is where it all started smack in the middle of town in Chow Kit off Jalan Tunku Abdul Rahman… Restoran Kin Kin. Gracing every bowl of Kin Kin’s freshly cut, springy, dry-style (‘kwan lo’) noodles are generous toppings of minced pork, crispy anchovies, deep-fried shallots and a text-book poached egg. All that’s left to do is to is to reach into the old school plastic jar on every table to get a couple spoonfuls of their mightily spicy dried chilli paste to fire up your noodles to your heart’s content. When the runny egg yolk, dried chilli paste, and other condiments are mixed together, what bathes the noodles is an addictively fiery sauce full of pork, crunch and fire that will blow your taste buds out of the water. A chilli-lover’s dream come true. I side with the purists on this occasion…. this is by far the best bowl of Chilli Pan Mee in town. Speak to anyone who has grown up in Malaysia, and you are likely to find a glowing testimony for Colonel Sanders’ Hot & Spicy variety, a recipe that seems to be unique to the Asia-Pacific region alone. There’s something about the ultra-crunchy, deep-fried chicken skin and subtle heat from the chilli powder marinade that’s been rubbed all over the plump and juicy chicken that blows the often soggy, over-salted original recipe kind that you find elsewhere in the world out of the water. Try it (…and no, I haven’t gone nuts from all the overeating). Great write up!In fact the food court in Publika (Solaris Dutamas) has brought together many of KL’s leading hawkers. Have you checked it out bro? Ah.. KFC.. Finger Licking Good!!! Miss the hot and spicy..
Ian: Trip wouldn’t have been complete without it. Had it on my last day at Mid Valley! KFC… that’s where I want to be. Sigh…I miss the spicy KFC! They used to have it in Canada too. Used to. 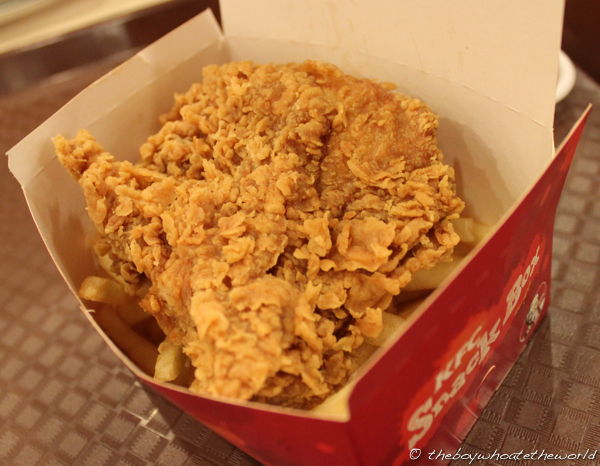 Sulin: Hot & Spicy KFC rocks doesn’t it!! Just had to have it when i was back this time round. Have never had KFC in the states or Canada tho!! Have they stopped doing H&S? LOVE hot & spicy KFC. It’s such a crime that they don’t do it here. And whilst I’m on the subject, McD’s need to bring the Prosperity burger over here too! Suyin: If only I was back during CNY period. prosperity burger would have definitely featured….